ON ONE level innovation is easily described. The dictionary defines it simply as the act of introducing something new. But business has a more complicated relationship with it. Most firms would claim to see innovation as an opportunity. Many reputations have been won on a single great idea and all will invest in it to some degree. But for the complacent, or the unlucky, it can be the lone sniper’s bullet that brings down a mighty corporation. “Out there in some garage is an entrepreneur who’s forging a bullet with your company’s name on it, ” said Gary Hamel, a management guru. 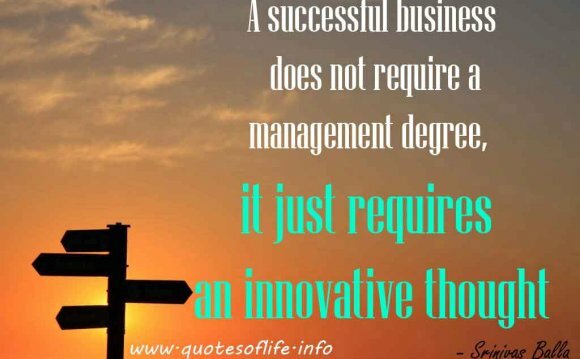 As the quotes below demonstrate, there are many theories about successful innovation. Is necessity the mother of invention or, as Marshall McLuhan would have us believe, is it the other way around? Should it be a scattergun process, carried out in the hope that some bullets will find a target, or a tightly defined endeavour? Some claim that innovation is easier at small, more nimble companies than at behemoths. But firms such as Apple or Johnson & Johnson might argue. Finally, it is worth emphasising that innovation matters to more than just shareholders or venture capitalists. Another guru, Peter Drucker (pictured), defined it as “the act that endows resources with a new capacity to create wealth.” At its broadest level it allows the economy to grow and thus has the ability to improve the quality of life for everyone.